Right on time for InterAirport, Jungheinrich is introducing its new EZS 7280 electric sit-on tow tractor. 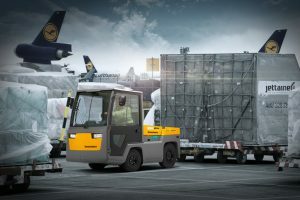 With up to 28 tonnes of tractive power, it is especially suitable for outdoor use at airports or the business premises of industrial companies. 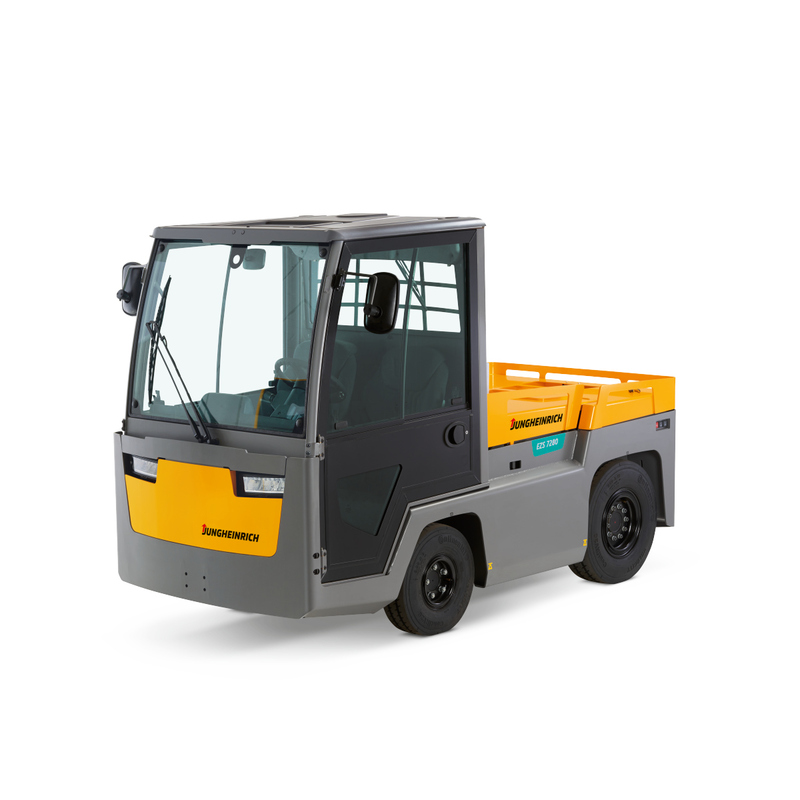 Thanks to its strong torque, the tow tractor has also been designed for ramp operations with heavy loads. Automatic parking brakes with roll-back protection and a hill-start assistant facilitate easy stopping and restarting on the ramp. A new 500 Ah lithium-ion battery guarantees outstanding efficiency. It is characterised by its maintenance-free operation and long service life and it offers the opportunity for rapid and boost charging. There is no longer any need to replace the battery. For especially long runtimes, a battery with up to 930 Ah capacity can be installed with an increased wheelbase. During development of the truck, we paid particular attention to the performance and safety of the tow tractor in typical ramp operations. In addition, attention was paid to the design of the operator seat, which is modelled on the automotive industry. This allows operators to work fatigue-free during their shifts.